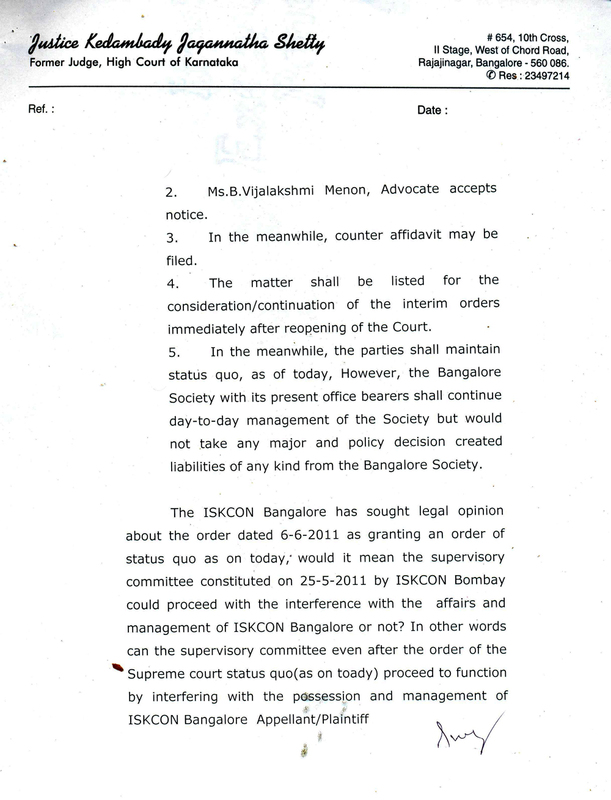 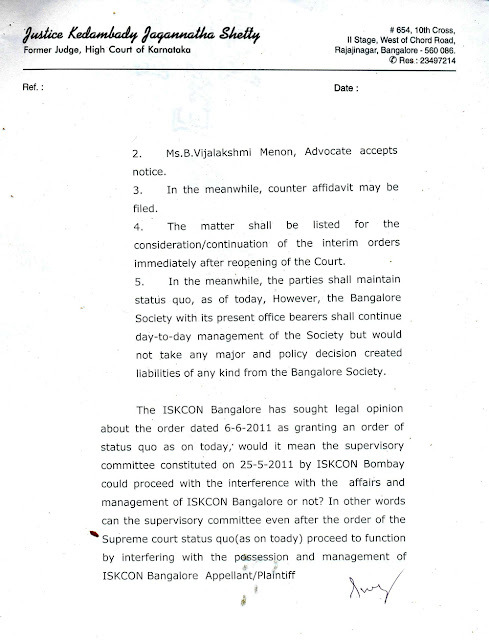 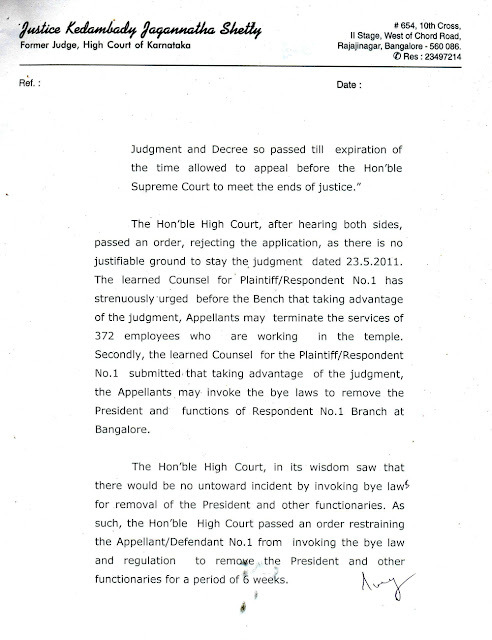 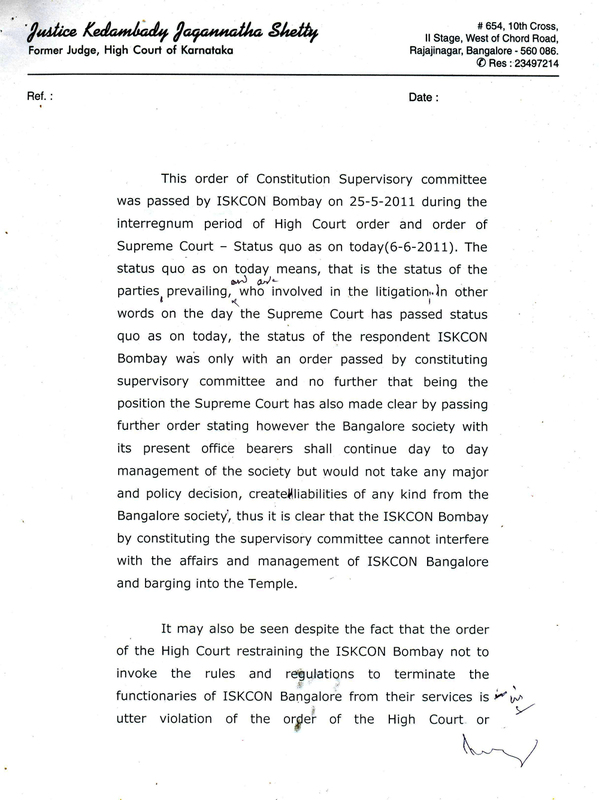 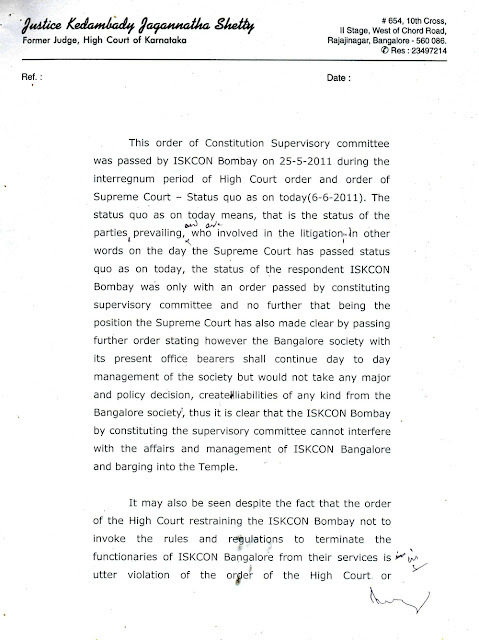 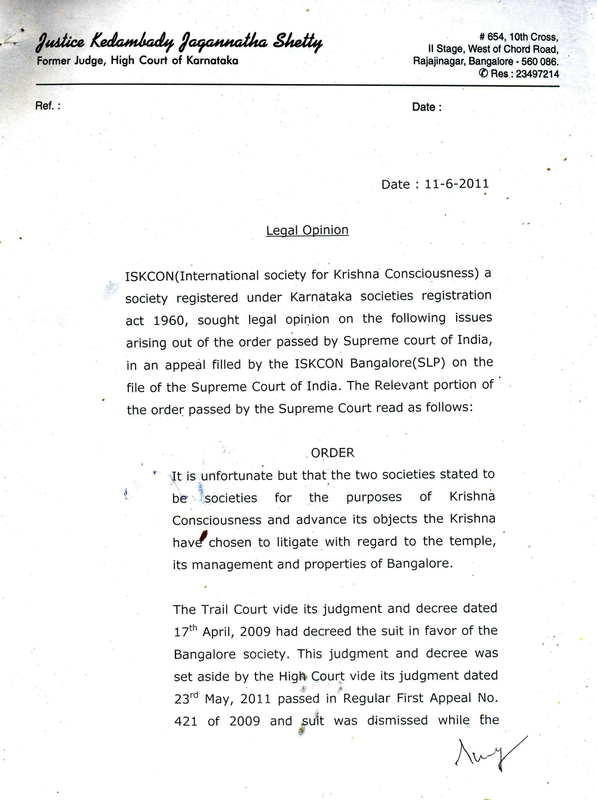 With concern we note the deliberate misinformation campaign begun by ISKCON Mumbai over the proper scope of the order of the Hon’ble Supreme Court dated 06/June/2011 in the Special Leave Petition No.15814 of 2011 preferred by ISKCON-Bangalore against the order and judgment dated 23/May/2011 passed by the Hon’ble High Court of Karnataka in Regular First Appeal (RFA No.421/2009). 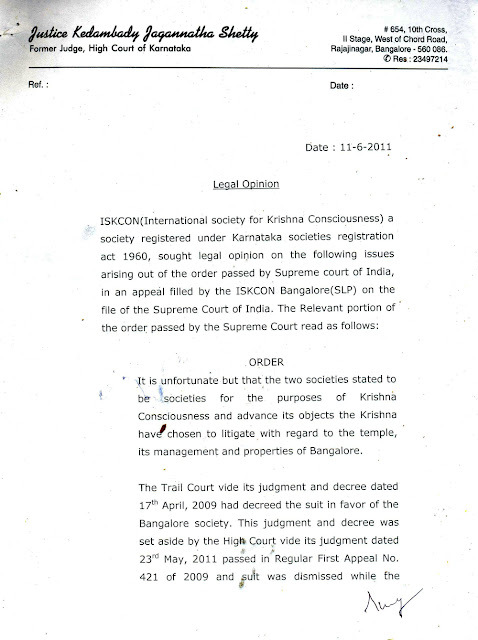 ISKCON-Bangalore had sought the legal opinion of Justice K Jagannatha Shetty, Former Judge, High Court of Karnataka and Mr K V Dhananjay, Advocate, Supreme Court, in this regard. 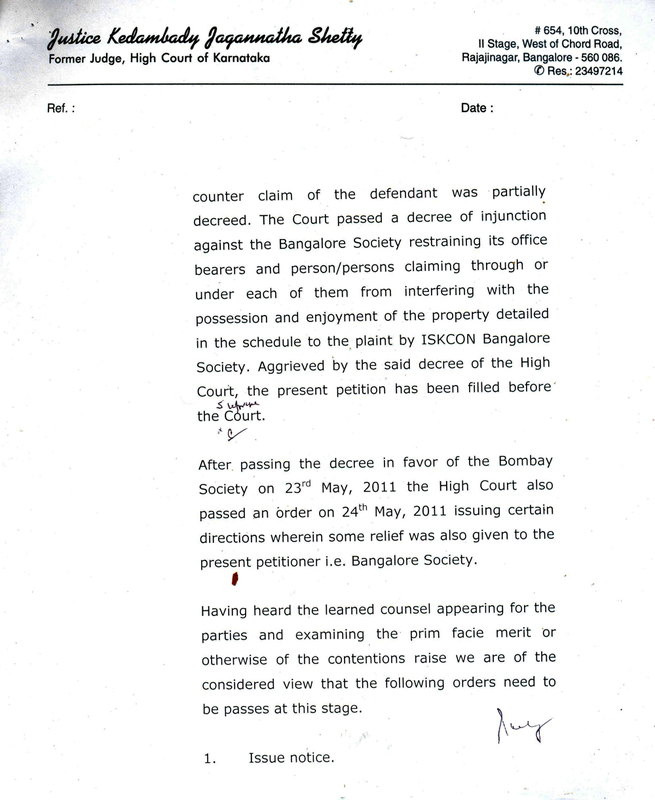 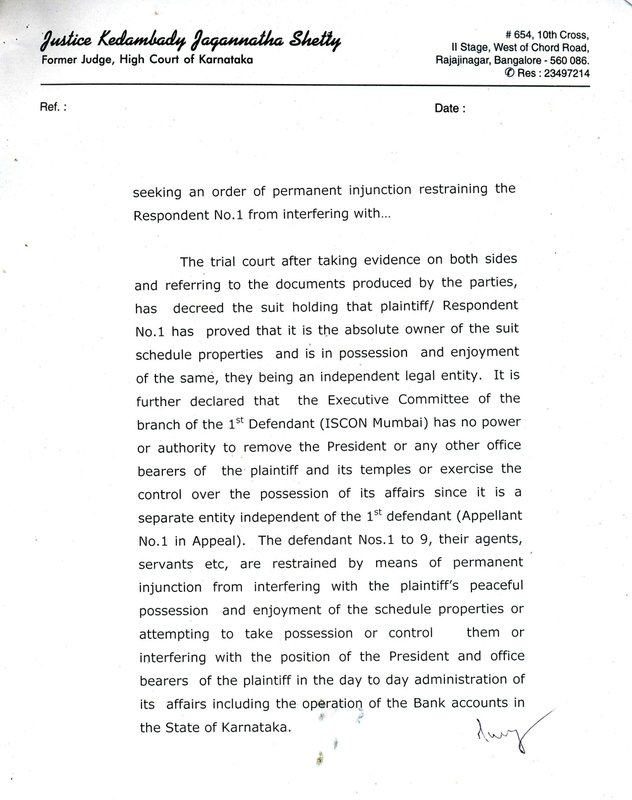 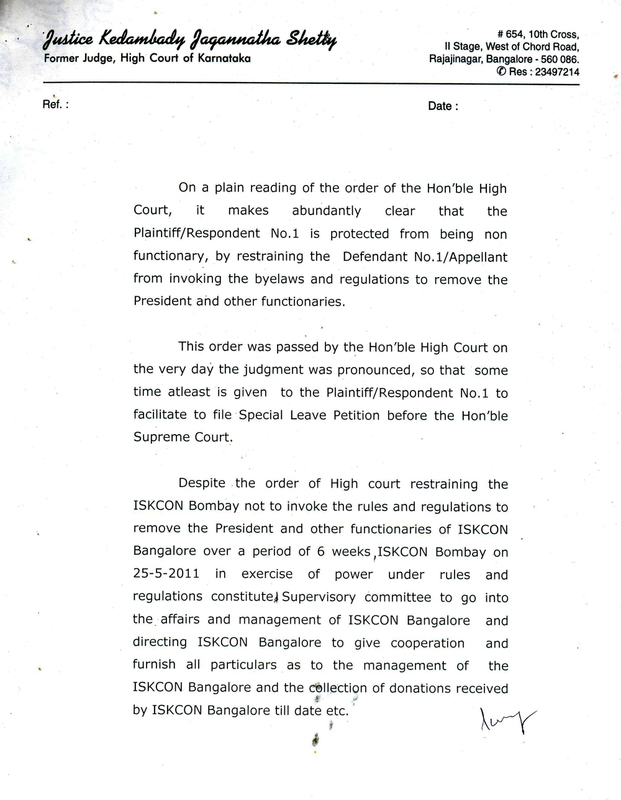 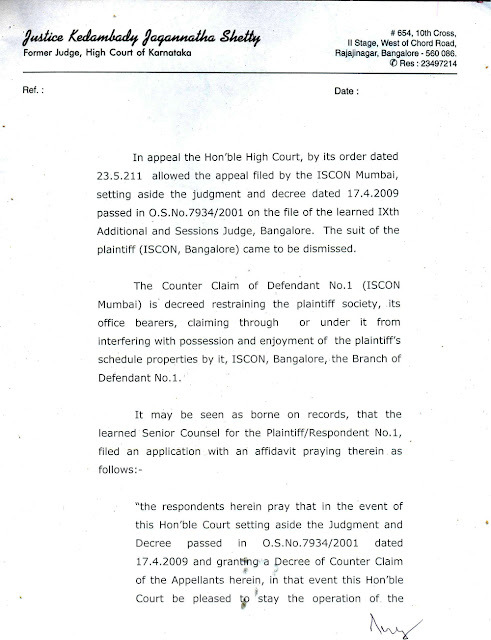 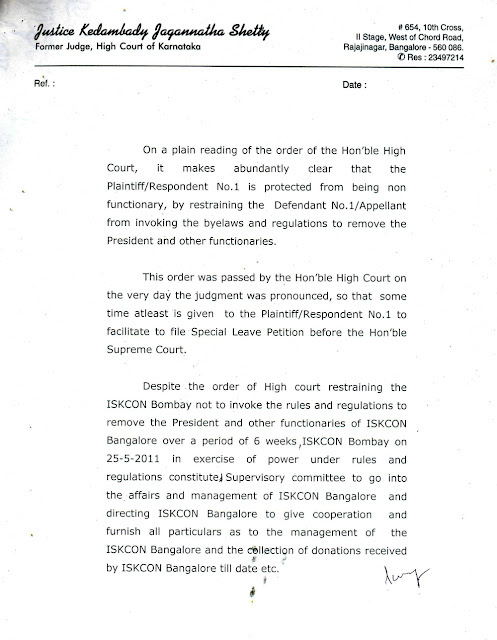 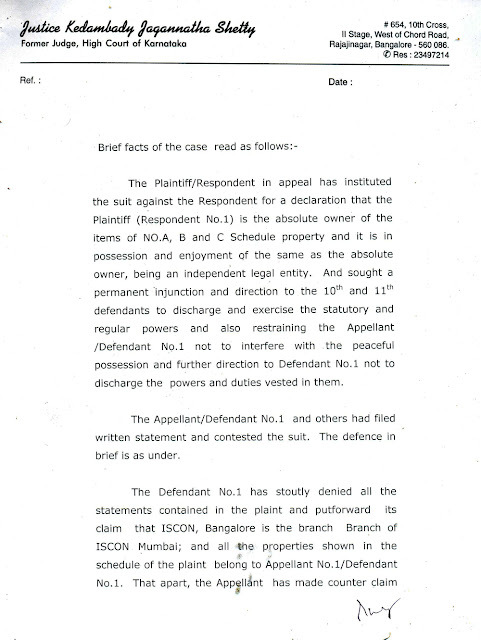 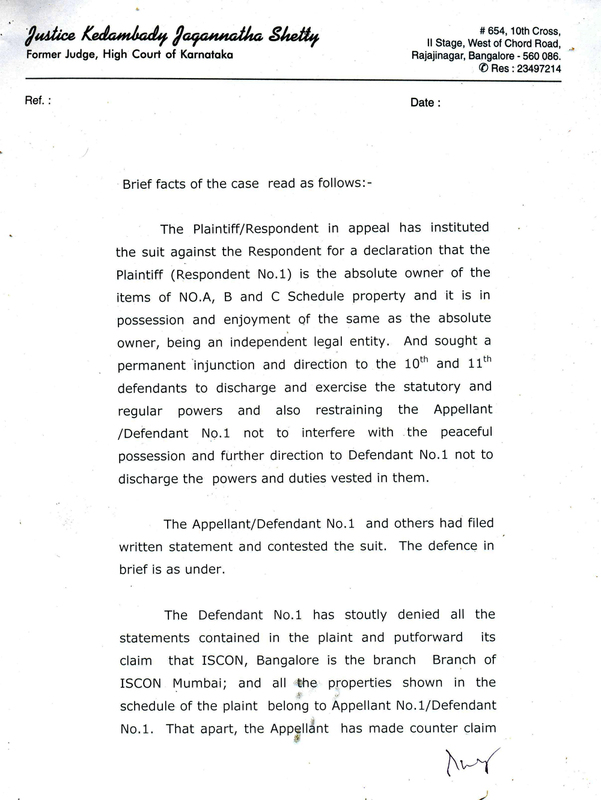 The said legal opinion by Justice K Jagannatha Shetty and Mr K V Dhananjay, dated 11/June/2011 respectively, in response to various untenable claims of ISKCON Mumbai, is attached herewith for your information.